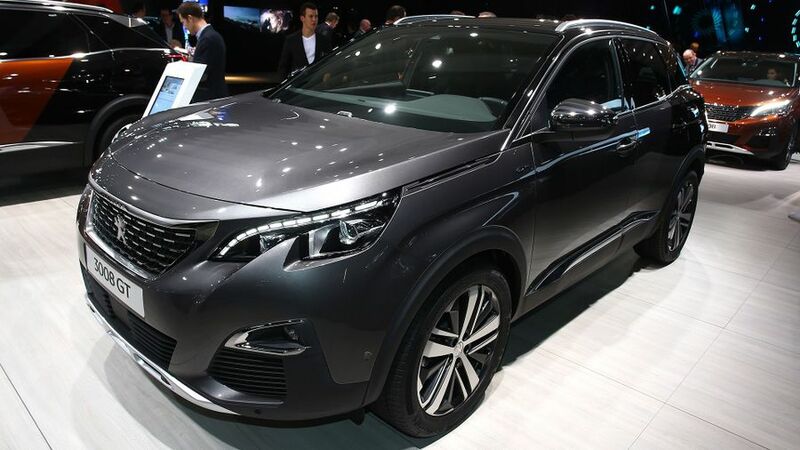 Peugeot has unveiled its 3008 SUV at the Paris Motor Show. The manufacturer claims it provides more space for passengers and luggage than the outgoing model, as well as better economy. The styling follows on from the recently revised 2008, in that it is very much an SUV, with its purposeful body stretching back from a wide, chrome-trimmed grille that’s book-ended by narrow headlamps. A gloss black roof is available as an option on certain trim levels, but standard across the range are the LED tail lamps that feature what the company calls ‘claw marks’. 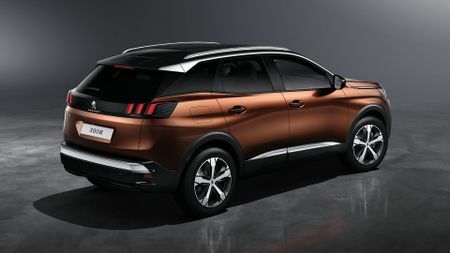 At 4450mm long, the new 3008 is 80mm longer than the previous-generation car – and a little longer than a Nissan Qashaqi – but not only is there significantly more head- and legroom for rear-seat passengers, the boot space is also almost 90 litres larger. The car also features a 60/40 split rear seat that drops to leave a flat floor, while further versatility comes in the shape of a two-position boot floor and a front passenger seat that can be folded flat to take long loads. 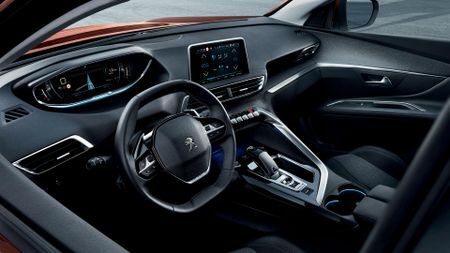 On top of that, the 3008 is also the first Peugeot to feature the latest version of the company’s controversial i-Cockpit. Perhaps the most notable aspect of this is a new design of steering wheel, with two 'flat' sides, but the cabin also includes a system called Amplify, which – at the touch of a button – is claimed to arouse the senses to enhance the driving experience, by allowing the driver to control things like the ambient lighting, the interior fragrance and the musical settings. At the heart of the car’s infotainment system is an 8.0-inch touch-screen (accompanied by six ‘shortcut’ keys to take the driver straight through to the stereo, sat-nav, climate control and so on), which offers features such as 3D navigation and MirrorLink, as well as being compatible with Android Auto and Apple CarPlay, both of which provide voice-recognition through an integrated smartphone. Meanwhile, the driver’s instrument panel is a 12.3-inch screen that has five different display modes and can be completely personalised. And, the modern feel to the cabin is enhanced by the choice of materials, with plenty of chrome, leather and carbon available. Further on-board technology comes in the shape of a range of safety features, such as Active Safety Brake and Adaptive Cruise Control, as well as lane departure warning and Driver Alert systems. And, like the smaller 2008, the 3008 will be available with Grip Control, effectively an advanced traction control system that gives the car more ability in slippery conditions. Buyers will also be able to specify the Park Assist system, which can identify a parking space and then automatically steer the car into it while the driver controls the accelerator, brakes and clutch. Like the current car, the new 3008 will be available with a wide range of petrol and diesel engines, as well as a choice of manual or automatic gearboxes. Precise details are yet to be revealed, but Peugeot has said that the new car is lighter than the previous-generation model, which helps towards CO2 emissions from as little as 115g/km and 100g/km with the petrol and diesel engines, respectively. The car will be available to order from November, with first deliveries expected in January 2017. Interested in buying a Peugeot 3008?